There’s also great shopping to be done at the Atlantis Bahamas! Whether you’re just browsing or going all out on a shop-till-you-drop spree, there’s something for everyone. 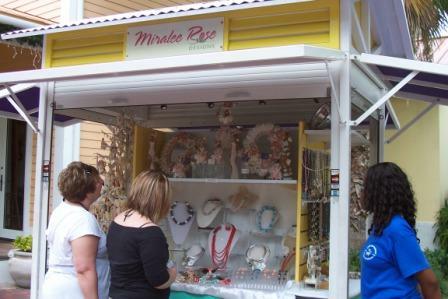 Check out the charming shops and eateries in The Marina Village. You’ll find many merchants selling Clothes & Accessories. Check out resort wear by Tommy Bahama and don’t miss the Atlantis souvenir shop! Several shops offer a variety of Jewelry & Watches , including John Bull, Colombian Emeralds International, and Carlo Milano. Between the Casino and the Coral Tower, you’ll find the luxurious, high end shops of the Crystal Court. Definitely the place to go if you win big at the craps table! Browse famous names like Gucci, Bulgari, and Cartier, and don’t miss local favorite, Cole’s of Nassau.